InstaDebit, recently rebranded as iDebit, is a secure and reliable payment method, allowing customers to safely make online purchases by using funds directly from their bank accounts without having to use credit cards. This e-wallet is gaining more and more popularity among online casino players as many web-based gambling operators list it as one of the accepted methods of payment, suitable for both depositing and withdrawing money from casino accounts. For more detailed information on iDebit, please read below. 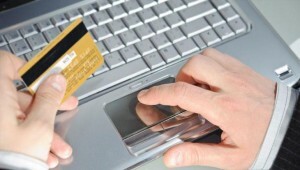 iDebit is one of the most widely used payment processors on the internet. In the last couple of years it has gained even more popularity among purchasers due to the many advantages it has to offer. It’s easy to use, very flexible and convenient and allows for secure online payments. Currently iDebit is available in a total of twenty four countries throughout the world and accepts many different currencies. In order to use it to fund their casino accounts, players are required to create an account with iDebit first. Signing up is simplified as no pre-registration is required. Customers simply need to fill in their personal information first such as their name, address, birth date, email address and the last four digits of their social insurance number. Purchasers are given the opportunity to test iDebit without registering. For the purpose they can check out as a guest and complete their registration after their first payment has been completed. If you check out as a guest, make sure you fill in the same username and password you use for your online banking account. What further adds to users’ convenience is the fact no activation of their account is necessary, their iDebit account can be used immediately after signing up. Once you’ve registered, you can log into your bank account to approve the pending transaction. You might be required to contact your bank to gain access to online banking. In case you wish to increase your deposit limit you will have to go through a verification process. It’s important to remember only users of age are allowed to create an iDebit account. As said above iDebit is accepted as a payment method by a large number of online casino operators. It’s suitable for both depositing funds to one’s casino account and cashing out one’s winnings. For the purpose, players are required to log into their casino accounts first and select iDebit as their deposit method of choice and enter the sum they wish to deposit. What follows next is signing into your iDebit account to approve the transaction. The maximum deposit amount may vary in different online casinos so keep that in mind. The transfer to your casino account will be instant as iDebit is directly linked to your bank account. The withdrawal procedure is practically the same but what’s important to remember is that this option is sadly not available in all casinos. The time required to withdraw funds from your account depends on the method you use – for instance withdrawals via cheques or money orders take about one to two business days to complete. Generally transferring funds from iDebit to customers’ bank accounts may take up to five business days. There are so many benefits iDebit has to offer it’s literally difficult to list them. A major advantage of using this payment method at an online casino is that it’s exceptionally secure – first of all because all transactions are monitored and verified by reliable security certification firms. Then again, sensitive personal and bank information is not revealed to third parties. In addition, iDebit uses the best and most reliable 128-bit encryptions to protect you and your transactions. But security is by no means the only advantage of using iDebit. It allows you to transfer money to and from your casino account without using a credit card. Transaction fees for withdrawals are also quite reasonable while deposits are, of course, free of charge. Last but not least iDebit offers very adequate customer support as Live Chat is available at customers’ disposal. The iDebit operators will provide customers with more detailed information, answer inquiries or help with any problem that ensues. What’s more they respond in a timely manner and are very kind. As previously mentioned there are no hidden fees with iDebit. Naturally, registration is free of charge. No fees are imposed upon depositing money into one’s casino account or paying for an online purchase either. Players need to bear in mind, however, in case currency conversion is necessary, a small fee is to be paid. Current foreign exchange rates are applied when currency is converted. You may also be charged fees by the bank and/or processor. Payments from your iDebit balance are free of change, but the same does not apply for customers whose payments are conducted via online banking in which case a small fee of €1 or 1,50 USD/CAD needs to be paid. A fee of €2 is also applied upon transferring funds from one’s iDebit account to their bank account. Keep in mind you’re not allowed to fund your casino account or make a purchase by using funds from two different bank accounts. Each payment should be paid in full from one bank account only. The topic of security has already been broached but there are a couple of other things that are worth mentioning. As previously stated, a great number of online casino operators accept iDebit as a method of payment and that’s not surprising as this e-wallet offers exceptional security. As players are requested to enter their date of birth, this helps verify their identity. This way no minors will be enabled to create iDebit accounts and use them for purchasing any items whatsoever. Filling in your banking information is also a requirement but players using iDebit can rest assured no personal or banking information is disclosed to third parties, like merchants and casino operators for instance. There are various security questions you can choose from which might prove to be handy in case you forget your password or are experiencing any other troubles when logging into your account. In this case you’ll have to answer some security questions to confirm your identity. Such security questions may be related to personal ID numbers, your mother’s maiden name and so on. Additionally, risk assessment of the provided information is performed to confirm users’ identity while sensitive data is heavily encoded with the latest encryptions. In recent years the number of web-based casinos, accepting iDebit has increased significantly and this doesn’t come off as a surprise. Chances are you, too, will be able to load your account or withdraw your winnings from your favorite casino, using iDebit as a banking method. Setting up one’s account is quick and simplified, there are no hidden fees and most importantly using this payment method is very secure which allows players to enjoy their favorite casino games without preoccupying themselves with worries over their account’s security.